If you pay any attention to the marketing world these days – which I’m guessing you do as you’re reading this post – you’ve been encouraged time and again to write a blog for your nonprofit. The promise is that if you write, your blog will bring your site traffic and eventually, donors, volunteers and support. However, the truth is you can’t just invest in the writing portion of this process. If you want to see real gains in traffic you need to optimize your blog content and ensure it’s indexed by search engines. 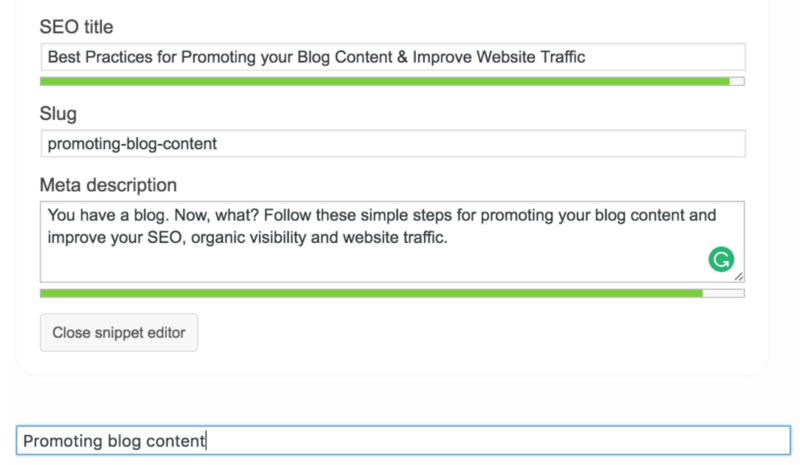 ArcStone’s VP of marketing, Lisa, wrote a post on optimizing blog content for search. Below it’s written with your specific nonprofit goals in mind. 1. If your nonprofit’s site isn’t yet verified on Google, this is a productive first step. Login here and click “Add Property.” Follow the steps Google provides. While you’re at it, link the property to Google Analytics. 2. Nonprofit site’s using WordPress, you get a leg up: there’s several reputable plugins and one of which, Yoast SEO, we highly recommend for improving your SEO. Through filling in information Yoast SEO requests, you hone in on your long-tail keyword and optimize each post according to that. 3. When using a plugin or SEO tool, keep in mind the keyword phrase about which you are writing. What is the main topic? If it’s “volunteer ideas for young professionals” use this in your SEO title, slug and Meta Description. Always keep in mind that this should sound natural and not forced. 4. Now that you have a fully optimized, published post, you can go into Google Search Console and click on “Fetch as Google” which you’ll find under “Crawl.” By crawling the blog post, you will almost always get indexed by Google. 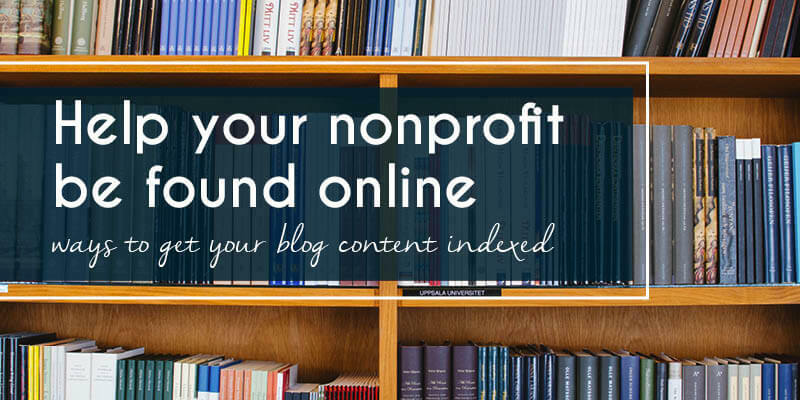 I understand it’s not always easy to find time to write a blog post for your nonprofit, but if are putting the effort forth, you should make sure the post is found. You never know what kind of impact this post could have on your readers – they may become your next biggest nonprofit supporter! But they have to find your nonprofit first!